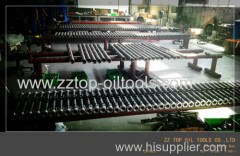 TCP operation perforating gun 2 7/8" Perforating Gun-2 7/8"
Spiral Gun System 54.0mm OD 6spf 60°Spiral Spiral Gun - 2 1/8"
TCP Spiral Gun system - Spiral perforator 2 1/8" 6SPF 60 degree is designed and manufactured as per API standard, the length is from 10 FT to 20FT. 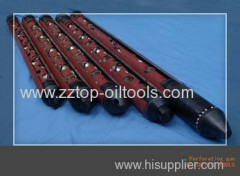 Oil Well Scalloped Gun System 3 1/8" 6spf 60°Spiral Perforating gun - 31/8"
The perforating gun system is conformed with API Specification,the perforator is applied for TCP operation and well completion operation in oilfield. Expandable Hollow steel carrier Perforating Spiral Gun System is designed and manufactured as per API standard, the length is from 10 ft to 20 ft.
Scalloped Gun System 7" O.D. 12spf 135°Spiral Perforator - 7"
The Perforating Scalloped Gun System 7" O.D. 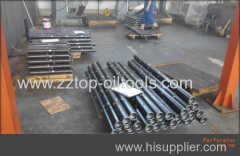 ,12spf, 135°Spiral is used in oilfield TCP operation, the perforator is conformed with API specification. Scalloped Gun System 2" O.D. 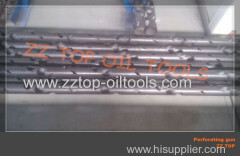 6spf 60°Spiral TCP Gun TCP Gun - 2"
The perforating gun is designed and manufactured as per API specification, which is used for oil and gas TCP operation. 43mm x 4spf x 0 degree Strip gun system is TCP perforating tool designed and manufactured as per API specification,used for perforating operation. 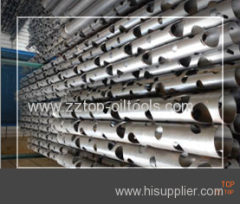 2 7/8" perforating gun is used in oilfield TCP operation to perforate the casing, whcih is designed and manufactured as per API standard. 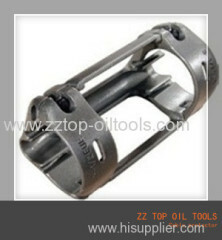 The fracture gun is designed and manufactured as per API standard, and used in oilfield TCP operation to perforate the casing. Dual direction pressure actuated firing head is conformed with API Specification, and used in TCP operation for the perforating. 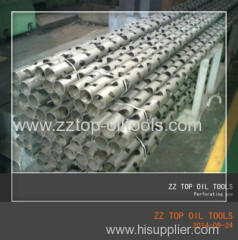 Dual-igniter sand-proof mechanical firing head is designed and manufactured as per API standard, and used in TCP operation for the perforating. 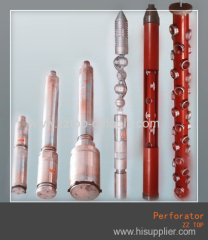 Full Bore Perforating System is made up of Full Bore Pressure Device, Full Bore Pressure-Actuated Firing Head and Full Bore Perforating Gun System. 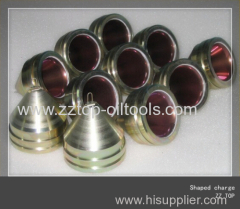 Multi-pulse stimulation perforator is a collection of compound perforating and high energy gas fracturing. 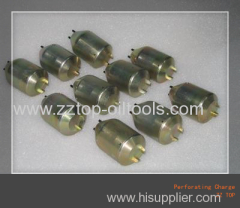 Dual-igniter pressure actuated firing head is used in TCP operation, it is initiated by pressurizing from tubing or from casing. 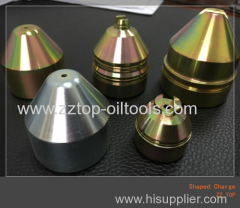 Sand Proof Mechanical firing head is used in TCP operation, it is initiated by Dropping bar from top of well.Simple struction,easy operation. Group of TCP Perforating tools has been presented above, want more	TCP Perforating tools and TCP tools, Please Contact Us.